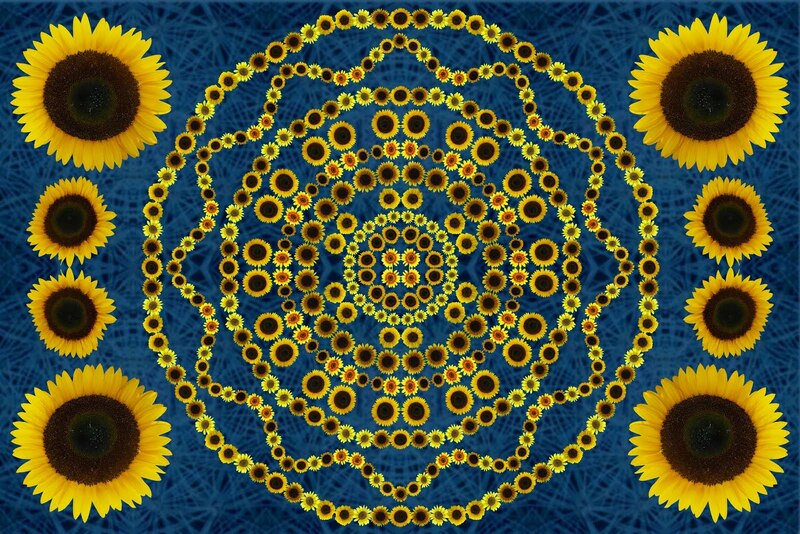 This is a sunflower mandala which I think is cheerful. 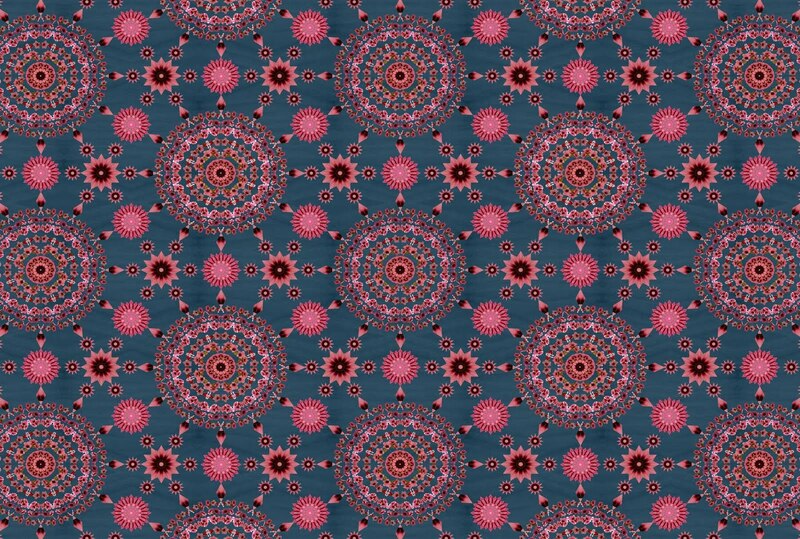 I will be doing another with foliage, but think this is a good start. 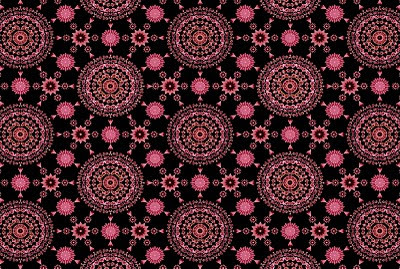 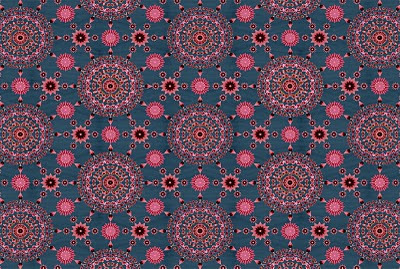 I give you the pink tree bell mandala array on a plain background. The black always shows up the colors well, but the textured backgrounds make the mandala float on top. 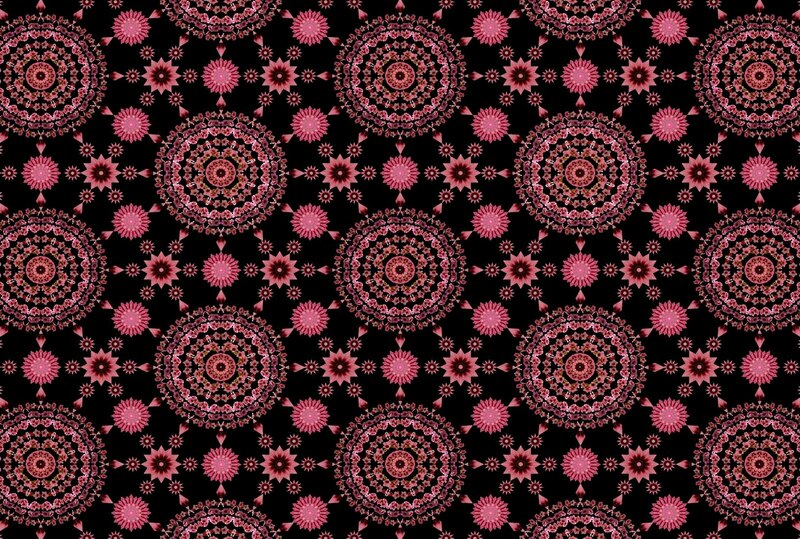 I then expanded the array out to the pattern you see on black. 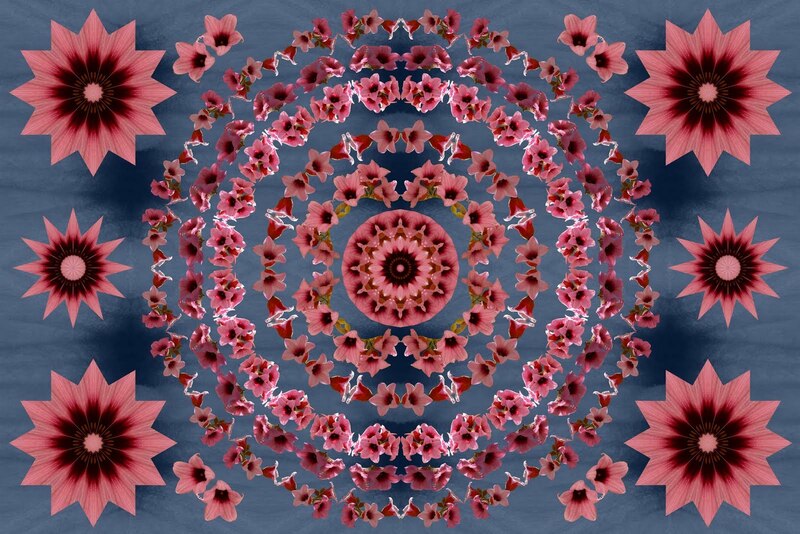 Next, I put it over a blue petal background. 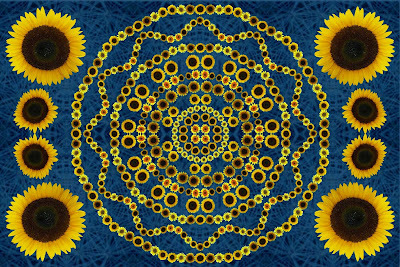 Making the arrays elements fit right is tricky and I am still developing my technique around it. 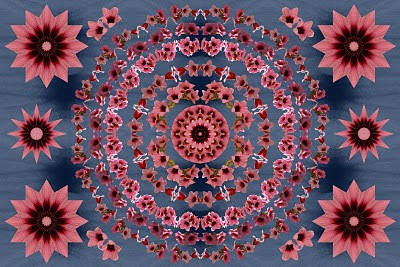 I have created a third mandala with the pink tree bells. 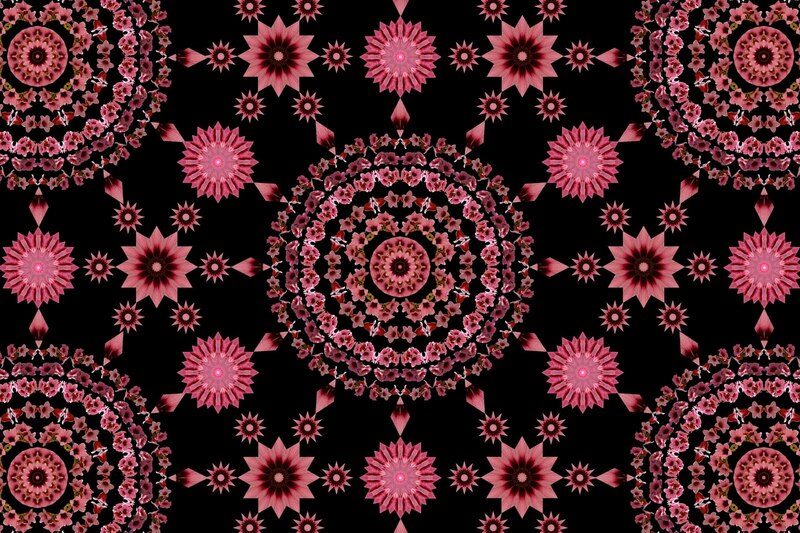 This one is simpler with an eye toward using it in a mandala array.